On Saturday we celebrated the birthday of our baby, it’s not quite a baby, turned 3 years and was a special day for her, as it should. I gave myself the task of making the birthday cake with a little help, I did the best I could with the cake for my daughter, keep in mind that I’m not a pastry chef making it an even bigger challenge. 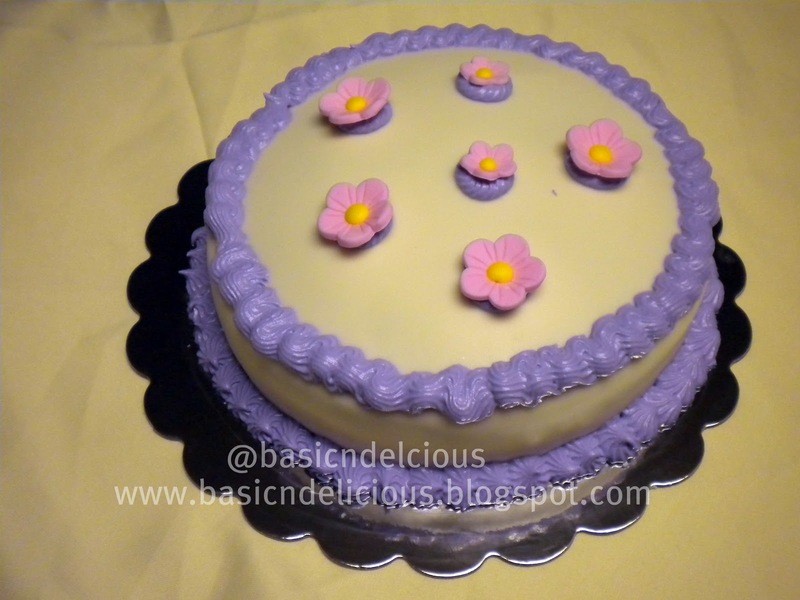 Finally decorate this cake was very simple, filled with dulce de leche and fondant and decorated with flowers. I am very happy and proud because she was delighted with the cake and although I wanted to make the decoration of the Beauty and the Beast, at least in its day she saw the love and the great effort to make her feel special. I love you my beautiful Nathalie, this is a bit of how much you mean to me. This entry was posted in Leisure and tagged birthday, celebration by Kathia Rodriguez. Bookmark the permalink.